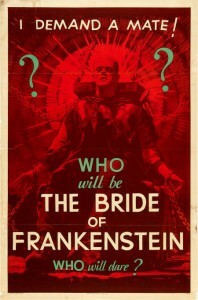 It’s a teaser poster for John Whale’s 1935 horror masterpiece The Bride of Frankenstein. Three one-sheet designs were created to promote the movie in theaters. 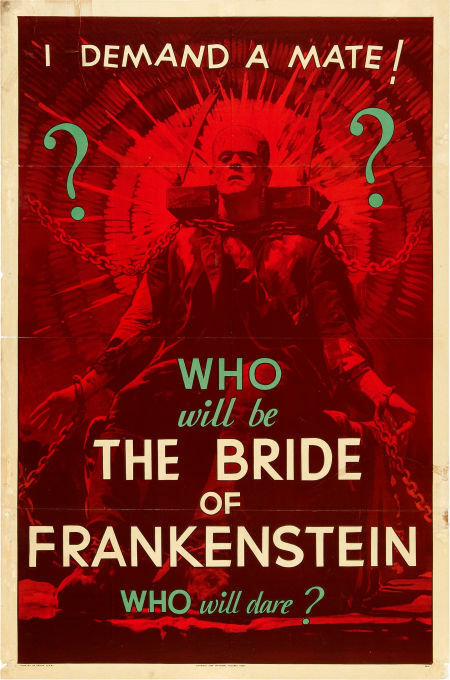 This poster is the most dramatic of the three, with its blood red wash and Boris Karloff’s iconic monster shackled in a chair demanding a mate. It’s also the only one that was released as an advance teaser to get theater audiences excited — I daresay titillated — before the movie premiered. Considered by many the greatest horror film of all time, The Bride of Frankenstein proved director James Whale’s crowning achievement. Aside from cast members Clive and Karloff reprising their roles, the addition of Ernest Thesiger as the demented Dr. Pretorius and Elsa Lanchester in the dual roles of Mary Shelley (seen in the prologue) and obviously, as ‘The Monster’s Mate’ proved a brilliant stroke of casting. 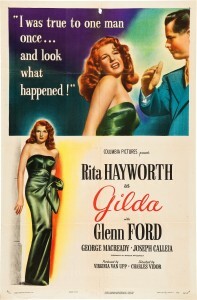 Also contributing with excellent work was makeup genius Jack Pierce, luminous camerawork by John J. Mescall, stunning art direction by Charles D. Hall aided immeasurably by Kenneth Strickfadden’s electrical lab equipment and design and of course, the extraordinary musical score composed by Franz Waxman. Such talent in front and behind the camera all helped to create a timeless classic selected in 1998 to be part of the National Film Registry, Library of Congress. The estimated sale price of this one poster is $700,000. The current record-holder for most costly movie poster is the 1926 international three-sheet of Metropolis by German artist Heinz Schulz-Neudamm which sold for $690,000 in 2005. In second place and the current record-holder for horror movies is a poster of The Mummy which sold in March 1997 for $453,500. So it’s Karloff versus Karloff, and it looks like neckbolts Karloff is set to give natronwrapped Karloff a sound spanking. The second and fourth most expensive movie posters (the latter a one-sheet of The Black Cat which sold for $334,600 last year) both belonged to collector Todd Feiertag, who is also the owner of the “I DEMAND A MATE” poster. He has spent 50 years amassing what is widely considered the greatest collection of vintage horror movie posters in the world. He’s owned The Bride of Frankenstein poster for 30 years. Heritage Auctions will be putting it up for sale in their November 11th Signature Movie Poster auction along with a passel of other beautiful and rare illustrations from cinematic classics. 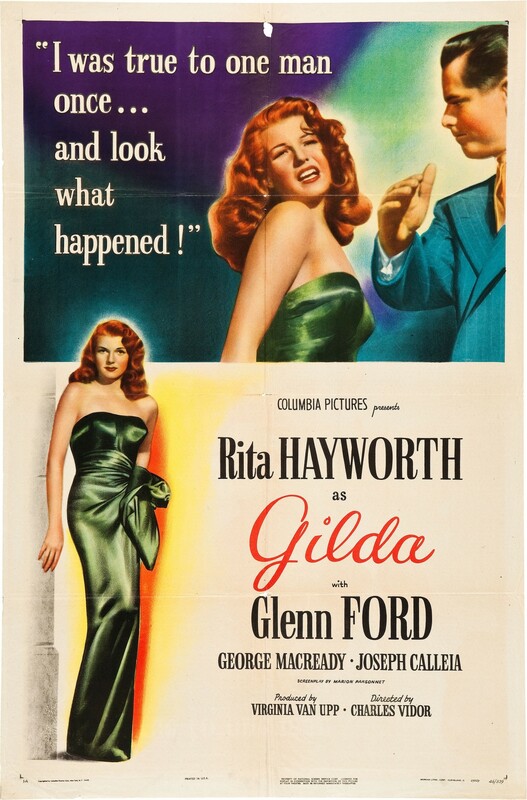 I have to give a shout out to the Gilda poster, which features Rita Hayworth reeling in the after-slap from Glenn Ford’s strong pimp hand. This entry was posted on Monday, October 18th, 2010 at 11:34 PM	and is filed under Modern(ish). You can follow any responses to this entry through the RSS 2.0 feed. You can skip to the end and leave a response. Pinging is currently not allowed. You know I would, but I’m still too wounded over a certain Turner you never got me. You posted that while I was playing Fallout this summer. Also, you didn’t call Secret Santa on it. Also also, you assign Secret Santas.